Chris is co-founder of the Community Vitalization Council (CiViC 180) which helps communities improve their economic vitality by developing small businesses. CiViC 180 creates and manages programs to retain businesses, develop entrepreneurship and increase global business connections. It supports these with state of the art viral marketing and works with communities to develop sustainable funding streams to support the programs. From 2009 to 2012, Chris was Vice President at the Irvine Chamber of Commerce where he handled economic development and tourism promotion activities for the City of Irvine. He initiated an award winning international business program that featured webinars, training and trade delegations. 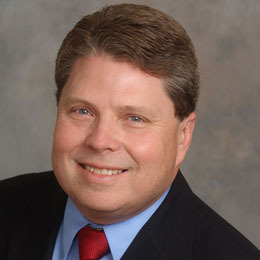 In 2012, he was the Santa Ana SBA District “Small Business Champion of the Year.” From 2004 to 2009, he was executive vice-president of the Santa Rosa Chamber of Commerce, where he was responsible for economic development and government affairs. Mr. Lynch was previously a US State Department Foreign Service Officer, specializing in helping US businesses with trade and investment issues overseas. He served at US Embassies in Germany, Spain, El Salvador, Chile and Colombia. His last position was as US Consul General in Hamburg, Germany from 1997- 2001.